Only one more episode to go and this will be over. Say it isn’t so. I have to say that there is something I completely love about this series (besides the writing and acting), and that is the music! 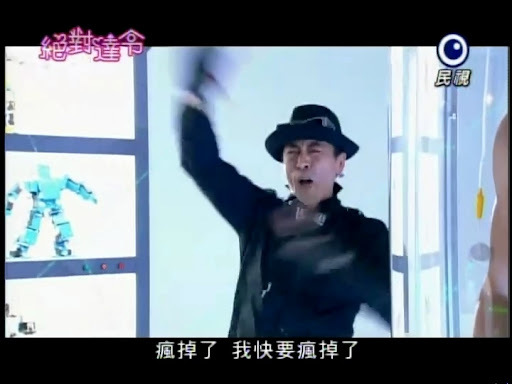 Jiro Wang’s ending song (okay, I admit to being not much of a fan of Fahrenheit’s opening song “Mr. Perfect”) “Pretend We Never Loved” is awesome and sad and this episode we get to hear his “Perfect Heartbeat,” which is another awesome song. I have a particular fondness for Sun Zi You’s song “In A World Without You.” So heartbreaking. His voice kind of reminds me of JJ Lin (whom I absolutely love). I actually think JJ Lin’s song for Love Forward would be excellent for this series. But, yeah. The music so helps the mood even more. We open with Night apologizing to Xiao Fei as he realized while he was in mobile form that he can never become fully human. Yes, as much awareness as he gets, he will never be able to PHYSICALLY become human (unless they figure out out to turn a robot into one, which, you know, there’s this cyborg movie…); however, I would like to point out that whereas Night may not be physically capable of being human, he is emotionally and mentally as human as a person can get. Anywho, though Night is faced with this limitation, he believes he can still make Xiao Fei happy. Her reply? He’s too selfish. She then apologizes and tells him that she really wants children which he cannot provide (A.D.O.P.T.I.O.N. ), and she realizes she should have told him this earlier. So what to do? Xiao Fei tells Night the best thing is for him to leave her and forget her existence. Nice. NOT. Night then does what Night does best. He swallows down his own feelings of wanting to be with Xiao Fei so that she can live a happy, human life. His only request is that she be with Zong Shi as he knows Zong Shi can make her happy (Night is aware of this, but if he knew how XF really felt, he wouldn’t actually say that). Zong Shi wonders if this is really okay, but Xiao Fei insists it is as she doesn’t want anything bad to happen to Night. If it will help him, then she requests that Night be reset. She also turns down Baoqui’s offer of a Night replacement. Why would she do this? Because she is tired of constantly breaking Night’s heart. T_T Xiao Fei cries as she leaves followed by Zong Shi. The next day at work Xiao Fei’s dampened spirits are very noticeable. Sky asks after the mobile and Xiao Fei says that it is impossible to fix. She also reveals that she and Night are finished. This shocks Sky and he cannot believe that. 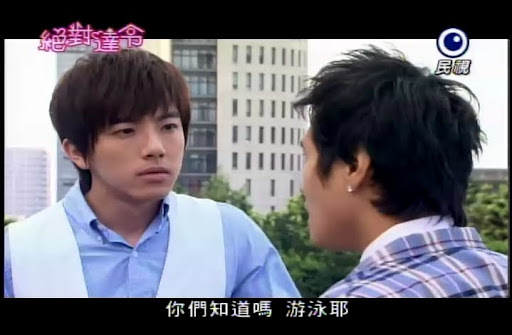 He tries to find out what happened and encourages Xiao Fei’s relationship with Night. Zhi Xi, sensing his insensitivity, does her best to call him over, but he ignores her until she right out yells at him to come and he finally goes reluctantly like an obedient doggy. In trying to help Xiao Fei through her heartbreak, Sky and Zhi Xi both volunteer for the major inventory project which needs to be done in a week. However, Xiao Fei takes on the assignment. Working to try to forget the pain of leaving the one you love to save him? I have to say I LOVED how Sky went in for a kiss after XF left and Zhi Xi greets that gesture with a slap. DENIED! Some of the little humor we get in this episode. I’ll take it even though I still say there really is NO reason for those two to be together, but whatever. Back at Kronos Heaven, Wu Wu goes to see Night to tell him about his new buyer. Night says nothing basically and just stares listlessly. If robots have a soul (BIG question and debate when it comes to AI, religion, etc), Night’s has left him when Xiao Fei left. The new buyer wants a Jude Law-type with blue eyes and who will act like a total yuppie. The complete opposite of Xiao Fei’s preferences. When Night still says nothing, Wu Wu gets angry and asks if he has nothing to say and all Night says is goodbye. Cold. Wu Wu then leaves and you see his genuine concern for the robot. You know, in the Japanese version, they really stressed that Night was created by Wu Wu [Namikiri], but in this series, they just stress that Night is Wu Wu’s sales bonus. I actually think it would go better if they followed the manga plot with Wu Wu not being just a salesman, but essentially Night’s father (i.e. creator). Wu Wu is starting to see Night as a human as well and tries to convince himself that Night is just a robot. Good luck with that. At work, Sky and Zhi Xi worry again about Xiao Fei as she isn’t back to normal and you know that she’s hurting after breaking up with Night. They spy Zong Shi and call him over. Zong Shi says that he knows of the breakup, but he can’t tell his coworkers just why they broke up. Sky asks if Xiao Fei can be heard sobbing her heart out through the walls. This make Zong Shi pause. Oddly enough, no. Zong Shi then makes Sky and Zhi Xi promise to be there and support Xiao Fei through the breakup so that she can get over it. Zhi Xi promises, but Sky says something that he’s noticed about Xiao Fei is that she is definitely stronger than she first appears. Sky has noticed that XF still comes to work (and does it properly), plus she goes swimming everyday. Say what? Again, Zong Shi is thrown. We then cut to Wu Wu wearing a ridiculous Spider Man outfit. I would have to say that under normal circumstances, Wu Wu would be trying to cheer Night up by wearing a ridiculous (for him) outfit, but that isn’t the case. When Night is annoyed by enough by WW’s acting and outfit, he asks him why he’s obviously dressed in clothes that he hates. 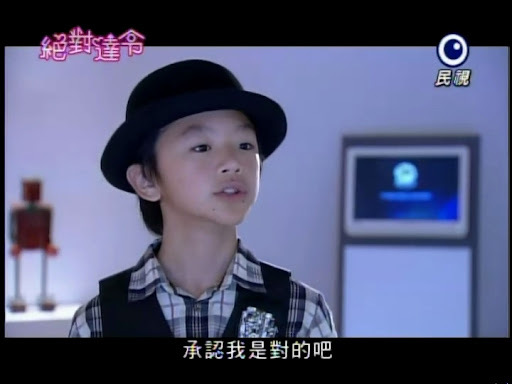 WW’s smile disappears and he wonders how Night can read him so easily, but cannot understand Xiao Fei’s real feelings. This surprises Night. What could Wu Wu possibly mean? Ah, Night, so naïve at times. Think about it, oh robot. You should know Xiao Fei well enough by now to understand her and why she acted the way she did. So Zong Shi goes to the pool to find Xiao Fei. He’s anxious when she’s nowhere to be found. Just where is she? His eyes quickly scan the water’s surface to ascertain that she is not floating face down. Just when he’s about to give up we find Xiao Fei sitting on the bottom of the pool. Seriously. GHS and pools. 😛 She then comes up and she and Zong Shi walk back to their respective apartments. I like how Zong Shi still understands Xiao Fei. He knows that she was crying underwater as she knew how badly Night felt when he saw her crying face. I think Zong Shi isn’t happy that her smile and laugh has become rarer, but he is happy that she has become stronger and is now doing her best to endure the hardships to protect the one she loves. Awww. I am happy as Zong Shi is still there for her and he is changing as well. He’s not as bossy as he has been throughout the entire series. ZS then promises to support her. Of course, being Zong Shi he hasn’t changed 100%. He requests in return for his promise, that she promise not to cry when the person that loves her is not there. (I was actually confused as I wasn’t sure if he was referring to Night or himself). Night finally understands what Wu Wu was getting out. So what does he do? He takes out the scientist who came (to take him to be erased and customized, I wonder?). He then takes off running to see his Xiao Fei. Wu Wu sees this and is happy. It looks like he’s decided to treat Night officially as a human and he wants Night to go to Xiao Fei so there is no regrets as the two are in love with one another. Enter Baoqui and his goons. Wu Wu stalls him, but QB guesses this and has Wu Wu taken away while Night makes good on his escape. We get an explanation as to why the COO of Kronos Heaven is adamant that Night be kept away from Xiao Fei and be completely reformatted (computer term for basically returning something to its original state which can wipe out all the old programmed data). Basically, since Night is self aware he is a danger to the company. If he should happen to go berserk and hurt humans, Kronos Heaven will be ruined. Wu Wu tries to defend Night saying that the robot would never do such a thing, but QB is not certain of that. What I LOVED about this scene? Lei Wu Wu’s launching himself at the men and being physically dragged as they chased after Night. I also had to chuckle at how he threatened Baoqi saying that he would hit the COO, but he really couldn’t hit a child in the end. What I didn’t like? Ok, let’s face it, the boy only has one face. And I mean one. That is his stone face. It really doesn’t match in every instance. This boy needs to learn how to convey more emotions on his face. Also I don’t like how easily the boy can resort to violence as he stepped on Wu Wu to stop him without even blinking. He has no qualms hurting adults. Wu Wu should have turned him over on his knee and gave the brat a good spanking – he needs one. Xiao Fei, meanwhile, sits in the park and wonders who Night is with and if he is happy now. Everything will be okay as long as he is. And I interject by saying this: is wiping a person’s memory so they forget you and letting them be reprogrammed to suit someone else really happiness? I know she’s got the whole Night is more human now thing going, but still, she should actually have thought about it. It’s really not happiness. It’s programming. And I do say that the more you mess with a computer’s formatting, the more and more likely it is that the computer may crash sooner rather than later. Then Night enters the picture and wonders who has made Xiao Fei sad. She made herself sad technically. The surprised Xiao Fei wonders what happened – isn’t he supposed to belong to a new girl? Night replies he can be with no one else as he is Xiao Fei’s perfect boyfriend forever. Xiao Fei wonder if that is really okay and Night says he doesn’t care if he’s fixed if he can’t be with her and he apologizes for not realizing that what Xiao Fei said earlier was her trying to protect him. They hug and promise to be together forever. Forever is a very long time. And nothing lasts that long. That night Zong Shi heads over to Xiao Fei’s place with food as he’s worried she isn’t eating properly since the breakup and he is floored when Night opens the door. 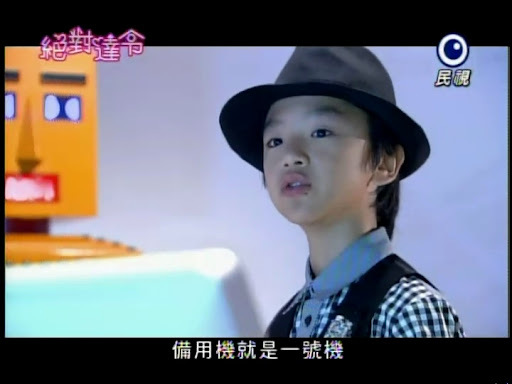 He goes in and learns that Night ran away to be with Xiao Fei. Zong Shi asks if Night is properly fixed and Night replies that everything is okay and he won’t break down again because he knows how much pain that caused Xiao Fei. Zong Shi worries that Night isn’t being truthful. Is he really better? But since Xiao Fei is finally smiling and happy once more, Zong Shi keeps that worry to himself and then brings up the COO and whether or not Kronos Heaven will willingly let Night leave them. We get a knock on the door and it’s a Kronos Heaven sales representative (not the usual Lei Wu Wu). We don’t learn this one’s name. I was so excited to see Jin Qin and a little disappointed that I didn’t get to see the goofiness he has portrayed so well in his roles in ToGetHer and Skip Beat! But I was still happy seeing him and Jiro together again. Jin Qin urges Xiao Fei to send Night back, but she and Night don’t want to be separated again (a cute little scene where the couple get feisty). Zong Shi being Zong Shi interjects and wonders if a compromise can be reached. Jin Qin replies that if Xiao Fei chooses to go against what is advised, then she must sign an agreement which states she cannot sue Kronos Heave for any damages inflicted by Night. This agreement also states the KH will no longer maintain or repair Night. This makes Xiao Fei pause. She doesn’t like to hear this. What if he should “get sick” again? But Night urges her to sign the agreement as he promises not to malfunction again (it’s like promising you won’t get sick – there is no guarantee for such things, but the human mind is very irrational) and she does. The next day at work both Sky and Zhi Xi are flabbergasted. There is Xiao Fei. There is Night. And they are back together again and vowing never to break up? What the heck happened? Night then says that its great Sky and Zhi Xi are a couple as well. In comes the boss and he is less than thrilled that the office has been coupled up as he is still all alone. The humans beat a hasty retreat while he starts lamenting, leaving Night alone in the uncomfortable situation. LMAO. I LOVED Night’s surprised face as the three zoomed off to escape. Why didn’t he follow suit? I also loved (and felt sorry for) Sky getting slapped again for trying to kiss Zhi Xi in the office yet again. Xiao Fei and Night then go on a proper date after work. They try on couple clothes. Xiao Fei remembers thinking they were ridiculous, but she is happy to be doing such things now with the man she loves. They then go by that shop that has the Korean sign and the wedding teddy bear display. Xiao Fei then says the need to have a proper picture together and pulls out the polaroid camera. It was a cute scene. We then cut to Kronos Heaven. Wu Wu is very angry. And Night is locked up? Say what? And, no, this IS NOT a flashback. Looks like Kronos Heaven is being horribly evil once again and playing God with Xiao Fei’s life. Night tells the angry Wu Wu that he did escape. Then what happened? He makes it to the park to see Xiao Fei and another Night hugging. Then Baoqui and his boys show up. Night has been replaced with a replica that has been given his memories (even the ones he created himself). 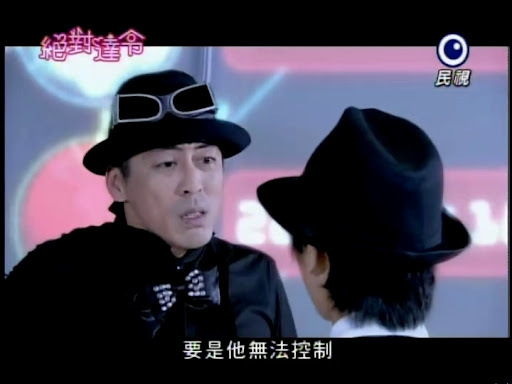 Baoqi gloats that Night has been replaced and that Xiao Fei cannot tell the difference. Night says she will be able to and goes to rush in only to be electrocuted (kind of like a taser or a shock stick used for animals) and knocked out. I guess that method was used because the number code no longer puts Night to sleep. 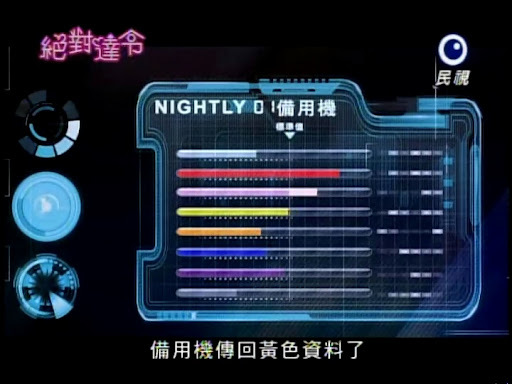 Baoqi says that the replica Night sends back only pink and red data whereas Night’s was always black and orange. You know, one of the only reason the new Night is sending back such data is because Xiao Fei has finally owned up to her real emotions and his happy to have the man she loves return to her. The original’s data was all the bad emotions as she hadn’t come to face her feelings and be okay with them. Wu Wu gets really ticked off when Baoqi says that the replica is more suited, but Night remains calm. Why? He trusts that Xiao Fei will be able to tell the difference. He has faith in her. Baoqi cannot believe that a ROBOT would have such trust and faith in humans. Ngiht counter this and wonders why the child COO doesn’t have faith in humans. Touché, Night, touché. Okay. Now. I’m not saying this just because it’s already been revealed, but when we cut back to the new Night and Xiao Fei, something seems kind of off to me. Jiro’s acting of the replica isn’t anything too different from the original, but there’s just something I can’t quite put my finger on that doesn’t seem *right*. What can it be? I don’t know, but there’s a very subtle difference that I picked up on that had me screaming at the screen at Xiao Fei. Why can’t she see it yet? Okay, I wasn’t actually screaming. They are watching TV and replica goes in and makes a move on Xiao Fei, he then jumps back like he’s been shocked. He had promised never to do that to her again. Xiao Fei smiles and says that she actually is mentally prepared to be with him. New Night then says he will plan the most romantic first time for Xiao Fei for her birthday in two days time. The embarrassed and happy Xiao Fei retreats to her room. Baoqi is told of the brief red data, but it quickly faded. This gives Night hope that Xiao Fei is realizing that the replica is not him. Baoqi says that it is only a matter of time before the new Night brings him data on “that” and Wu Wu throws a hissy. Oh my god. How can he have worked for such an evil company? This coming from the man who kept urging Xiao Fei and Night to do it. 😛 The memory upload is almost complete (I guess they are doing it remotely to the replica?). Baoqi is not happy that the final piece of information from Night’s memory is a photo that is all pixelated and unrecognizable. If they can’t find that picture, than the transfer won’t be complete and the replica won’t fully be Night. So our replica searches through the apartment. Xiao Fei comes out and wonders what’s going on. Night says that he is simply searching for a safe place to put the new picture. This shocks Xiao Fei. Did Night forget that he stored his precious memories in a box under the TV? Replica then rushes over and grabs a box, but it’s the wrong one. Xiao Fei hands him the right one and he tears it open. Instead of putting the new picture in, he takes out all of the old pictures and quickly rushes through them all, analyzing them to see if they are the final piece of Night’s memory. This puts yet another red flag out for Xiao Fei. Those are Night’s precious memories. Why would he callously throw them on the floor? The copy then finds the right picture. The transfer is now complete. Xiao Fei wonders if this is a malfunction, but tells herself it isn’t. After the replica’s memory upload is complete, he carries Xiao Fei into her bedroom as it’s time to do “that” at long last. Xiao Fei is surprised. What about the romantic plan for her birthday? Didn’t she say that such moments shouldn’t be all planned out? Baoqi gloats over this success and Wu Wu throws hysterics like a girl. Thank you Lei Wu Wu. 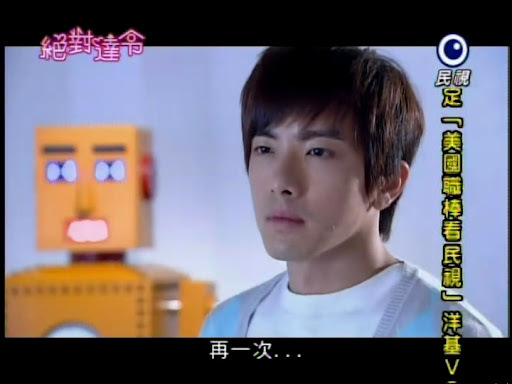 He tells Night that Xiao Fei will go crazy when she finds out she slept with the copy when she had meant it to be him. True. Night finally breaks out of his funk and gets angry. Really angry. Like Incredible Hulk angry. Well, without the transformation into a muscular green man. He busts through the prison and punches out Wu Wu. WTF? Back at Xiao Fei’s place she requests to hear Night tell her he loves her in Korean versus Mandarin. She talks about understanding at last what Night was trying to say when he was malfunctioning and speaking in Korean (aww, Jiro’s adorable Korean, we get to see it again). The replica, in Mandarin, says that they will be together forever, which is technically what the malfunctioning Night said in Korean, but it doesn’t jive with Xiao Fei at all. The replica then responds that he got that from the picture. This is the final red flag for Xiao Fei. She pushes Night off of her. What’s wrong? Xiao Fei explains that picture was very important and he would always look at it and talk in Korean. He isn’t Night. How can she say that? The memories may have been copied, but they couldn’t give the replica Night’s emotions. I like how Xiao Fei is fed up with KH. She agreed to the complete erasing of Night’s memories and all that, so what the heck are they doing? Meanwhile, the real Night is still beating Wu Wu. Why? The scientists worry about what Night is doing. What if he harms or kills Wu Wu? So Baoqi releases the final restraint and Night and Wu Wu rush out and trap the COO and lackeys in. Nice! It looks like it was all a ruse to trick Baoqi. The kid deserved that. I still say he deserves a spanking, too. This time, the escape goes a lot easier. Night hopes that they can make it to save Xiao Fei in time and Wu Wu replies that he has already sent the message. Just pray it isn’t too late. Xiao Fei is fighting with the replica. He has decided to consummate their relationship whether she wants it or not. Okay. What the heck is it with Kronos Heaven and their robots besides Night? Jiang Junshu drugged Xiao Fei and was abusive and dictatorial. The copy of Night is now forcing himself on Xiao Fei. Okay, so the jealous Night tried the same thing, too, but that was as he was turning more and more human, so he had that difficult emotion PLUS his motherboard and processor going haywire. Enter Zong Shi and he says the code to shut down the fake Night. I think Zong Shi’s rescue card is fuller than Night’s now. After the replica is stopped, Xiao Fei rushes out to find the real Night. Zong Shi says that she is still the same impulsive Xiao Fei and rushes out after her. Night and Wu Wu managed to escape on a speedboat, but Baoqi won’t let it be and sends his men chasing after them. Xiao Fei, Zong Shi, Night, and Wu Wu all meet at the docks. Xiao Fei and Night immediately embrace one another and we get to hear the same apologies we heard earlier. Night apologizes for not recognizing that Xiao Fei was trying to protect him and Xiao Fei apologizes for not recognizing the fake Night earlier. Sigh. Enter Baoqi and his lackeys. Zong Shi tries to get Xiao Fei and Night away, but it’s too late. Night then goes to fight the lackeys. He starts out okay, but starts getting his robotic rear beaten. Xiao Fei struggles to rush over to him and is held back by Wu Wu and Zong Shi. To save both Night and Xiao Fei, Zong Shi antagonizes Night to give him the strength to defeat the men (it’s actually kind of like what you saw in Yamato Nadeshiko Shichi Henge where Sunako hearing herself called “ugly” gave her the power to beat the bad guys). Hearing Zong Shi say he isn’t qualified to be Xiao Fei’s boyfriend if he can’t beat them, does give Night the strength and he does manage to defeat them. After that epically non-epic battle, Baoqi finally reveals the truth behind Night’s condition (although I’m sure everyone’s pretty much already guessed just what it is). Night’s self awareness is overloading his motherboard. Since he is not being reset, this means that there is no hope and he will “die.” For Night, he would rather accept his death and be with Xiao Fei than to have her memories erased and live life only as a robot. Wow. Nice. Night then breaks the ring saying that as a HUMAN (his words, NOT mine) and a boyfriend, he doesn’t need such a device. Rock on, dude! Night then basically tells the COO to leave. And this is one of the first times we get a slight crack in that expressionless face the actor always wears. The boy looks a tad sad (to me). He bids Night farewell as KH has officially washed their hands of Night since he chose his fate. As soon as BQ and his men leave, Night collapses. Figures. The quartet end up in a hotel. Night is burning up as his motherboard starts overheating. Funny as how he is “dying” he becomes even more and more human-like. Zong Shi cannot bear this fate and neither can Wu Wu. The two band together to try to create another miracle (Wu Wu stood up to Baoqi earlier by saying they should leave Xiao Fei and Night alone because a miracle allowed them to love each other in return). They head off to the company (and we get a weird scene where you’d believe Zong Shi was frozen in place as he presses and holds the button for the first floor). Zong Shi then reveals that RD2 is in a secret underground lab where they are working on none other than robotics! This I define as a WTF moment. Seriously, WTF? Looks like Zong Shi is going to do his level best to find a solution as long as Wu Wu provides him with all the data and schematics on Night. Whose hoping for a miracle of miracles that will give this show the happy ending we all want? Looks around. Raises hand. Will it happen? Prolly not. 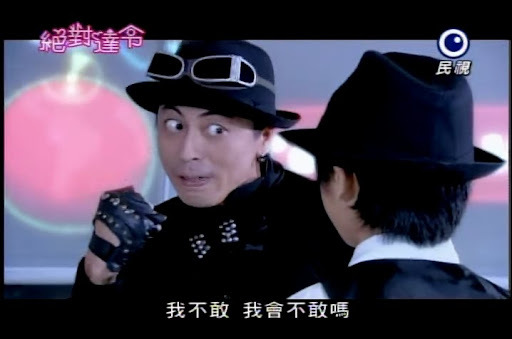 I have to admit, Kun Da’s expressions here? Yeah, a little scary. Back at the hotel, Xiao Fei becomes sadder and sadder as Night’s condition worsens. She is in the bathroom wetting the washcloth when Night collapses. He hates that he has become so weak. XIao Fei helps him up and hugs him. She begs him not to die. Night replies that he cannot die (robot humor or is he just trying to comfort Xiao Fei?). She in turn asks him not to die before she does as she is not yet prepared. Why? She has just faced her emotions and is ready to go to the next step. How can she lose him already? Xiao Fei then finally says the words that she couldn’t say for the past 11 episodes. “I love you” (“wo ai ni”). I was SOOOO waiting for GHS to bust out Korean since they did this big spiel about the meaning behind Night’s Korean confession. Oh well. The clock chimes midnight and Night pulls back wishing Xiao Fei a happy birthday. Xiao Fei is shocked. She had forgotten her birthday what with all the excitement. Night hugs her tightly and promises that he will never break and he will stay with her forever. XIao Fei tells heaven that she knows Night is lying to her, but she will trade all of her birthday wishes for that one lie to become reality. And that’s it for this episode folks.